The New York ad agency Mother is pretty much obligated to do something especially special for Mother's Day, and this year, the agency's creative minds have really out-Drapered themselves — they've created a maternal reparations form that's almost as labyrinthine as the tax form you just finished with not three weeks ago. To really cinch its Mother's Day campaign, Mother created The American Coalition for Labor Reparations, which sounds like it could be a proactive organization for recouping labor expenses for disenfranchised workers, but, sadly, isn't. 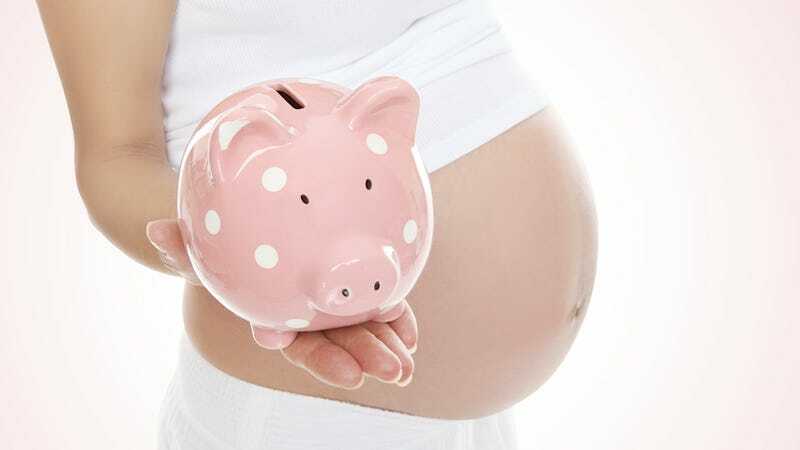 The site includes a comprehensive form for calculating the amount (in sturdy, American dollars) you should remunerate your mother for lugging you around for nine months with an increasing sense of dread for the looming labor pains your eventual birth would bring. Your entire incubation as a fetus, in some ways, was probably one long, nerve-wracking horror movie for your mother, and if you think that there's any amount of money in the world that can make it right between the two of you, you're delusional. The Labor Reparations form instructs you to calculate things like the time your mom spent in labor, "all the gross stuff" your tiny baby body did to your mom's body during labor, and the hormonal acid trip your mom surely endured during her pregnancy (for this last item, the form suggests consulting your father). This all seems like innocuous comedic fodder, except that to consider many of the "expenses" you incurred during your mom's pregnancy "gross" or uniquely traumatic, in some ways you'd have to consider the female body and pregnancy itself with a certain squeamishness. Ew, women poop during labor? Who can even deal with that kind of information? Everybody who gets to participate in an educational system that doesn't try to mask the biological realities of human existence, that's who. Still, it might be nice to buy mom a drink or twenty-seven today, seeing as how she went nine months without hitting the booze, or so she'll tell you as she sips her martini and rolls her eyes to the floor.